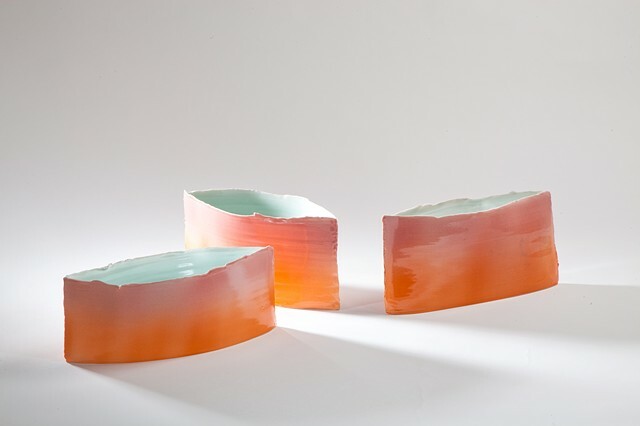 I am interested in ceramics as a vehicle for three dimensional art; a tactile, visual experience. I work mostly with high fired porcelain, the white providing a perfect canvas for my exploration into colour. I use a combination of stains and stoneware glazes and fire in both reduction and oxidation atmospheres to achieve the desired results. The colours I use are exciting, and hopefully uplifting. This process is challenging, especially when it is colour that is increasingly driving my decisions on form.